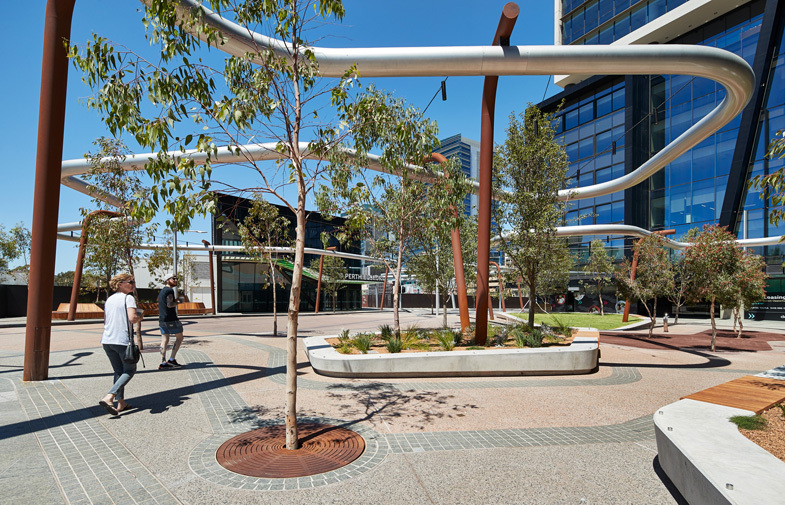 Manatj Park (Black Cockatoo Park) is a crossing of culture and place, from the Swan River in the south to remnant lakes in the north at Hyde Park and Yagan Square in the east to the Perth Arena in the west. 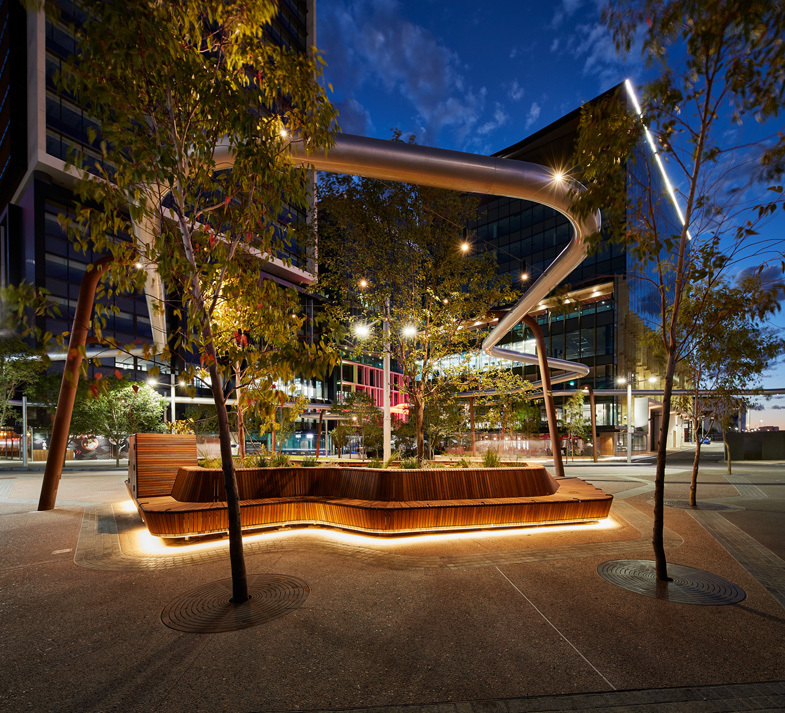 The legendary place of the former meeting of two Kings, the first occupants and traditional owners and the first settlers. 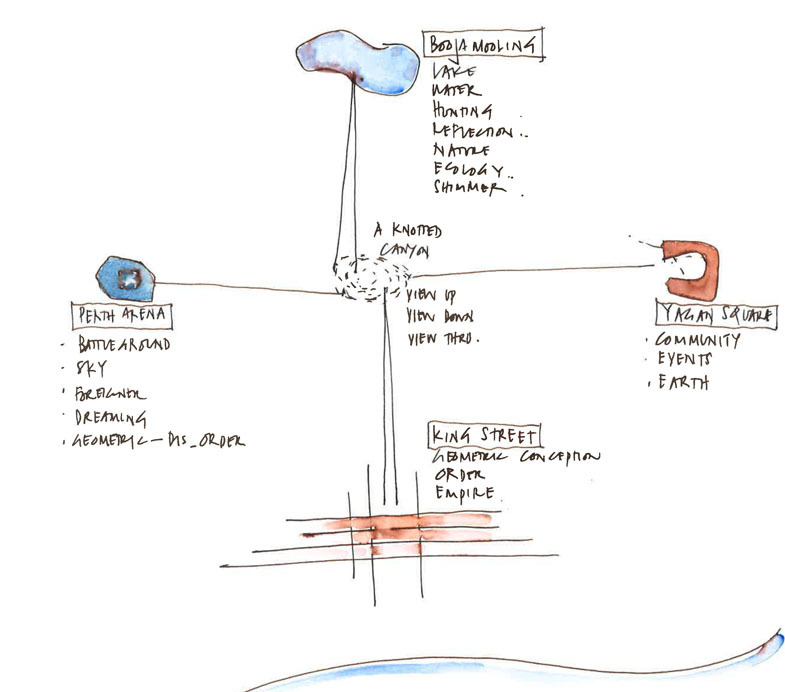 A place of meeting without meeting, a place to discuss without discussing, a place of friction without fighting. 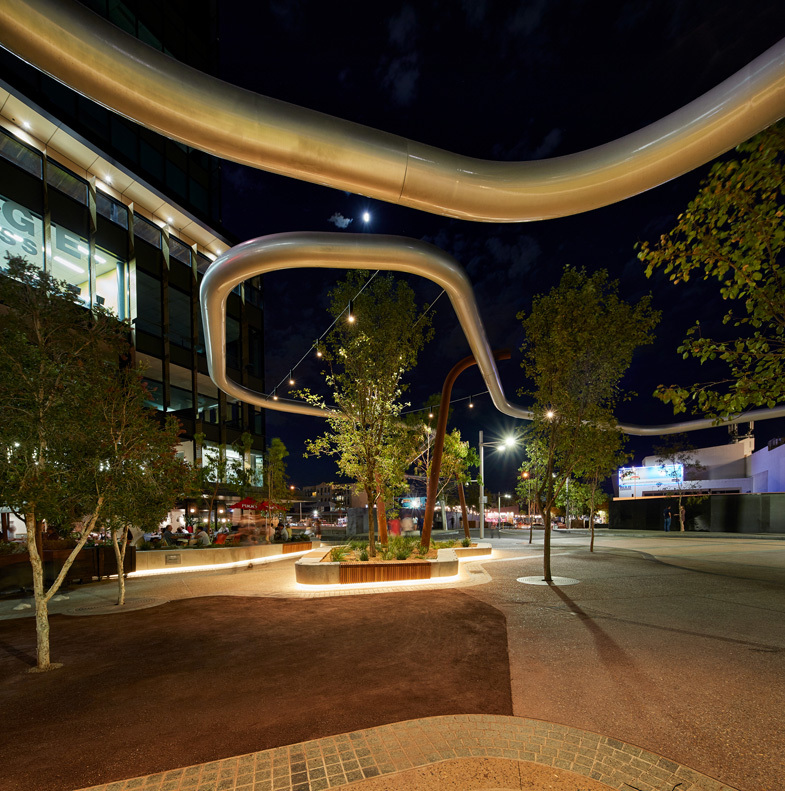 A temporary place to visit and rest, to look up, across and down. 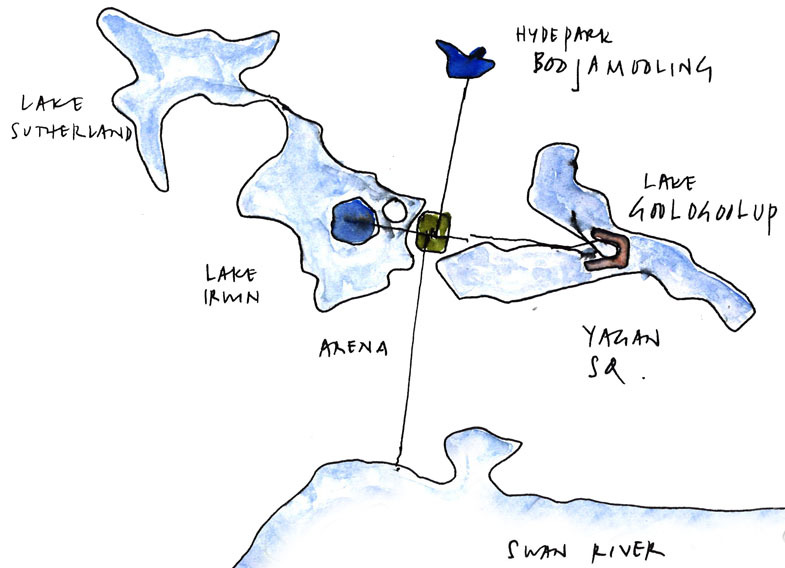 The presence of the former lakes is evident in the coloured concrete, a mix of browns, a surface disappearing in time. 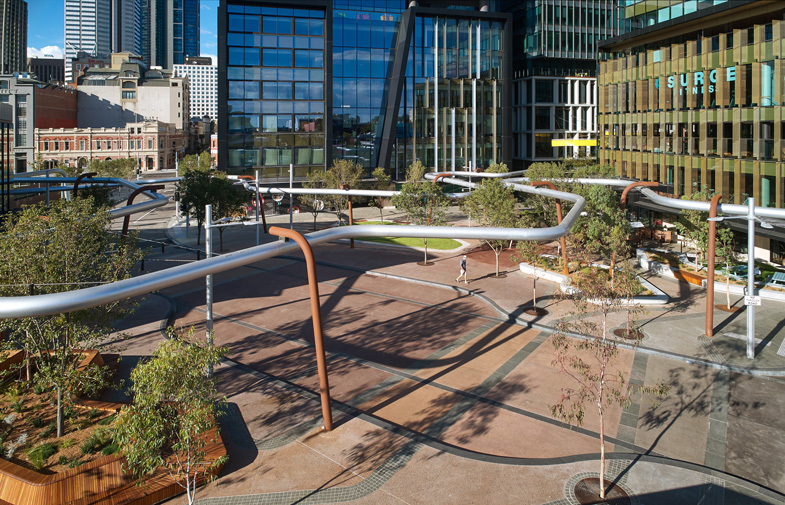 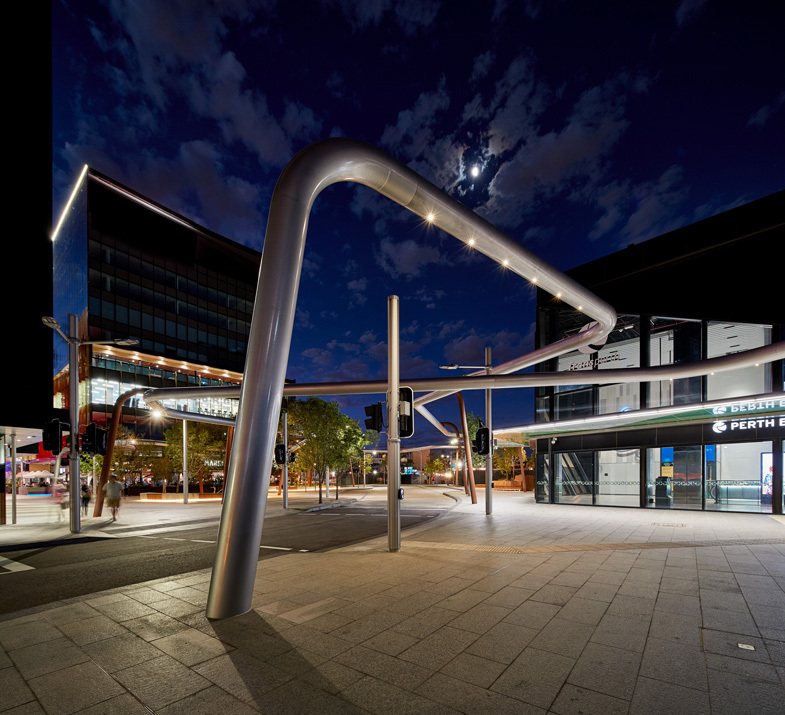 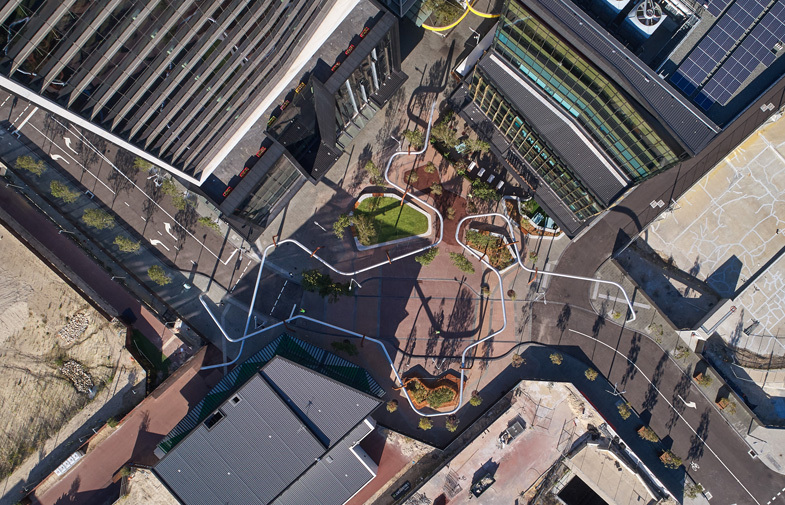 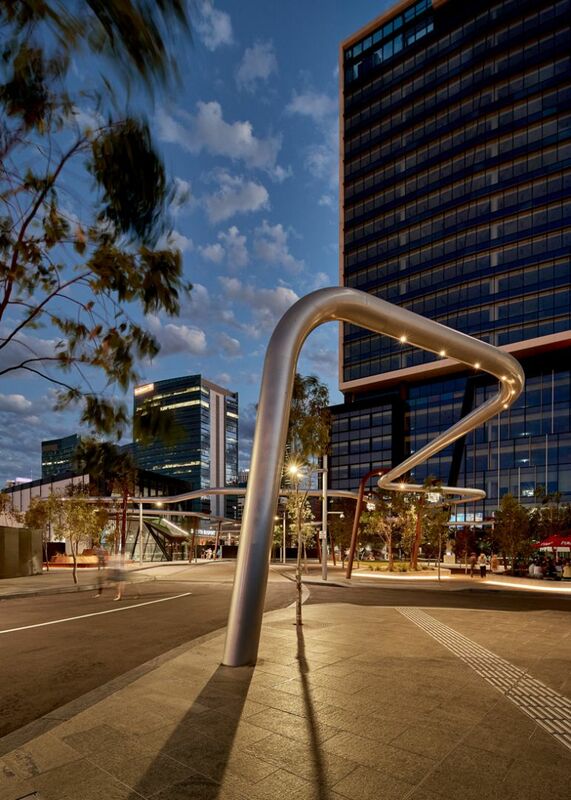 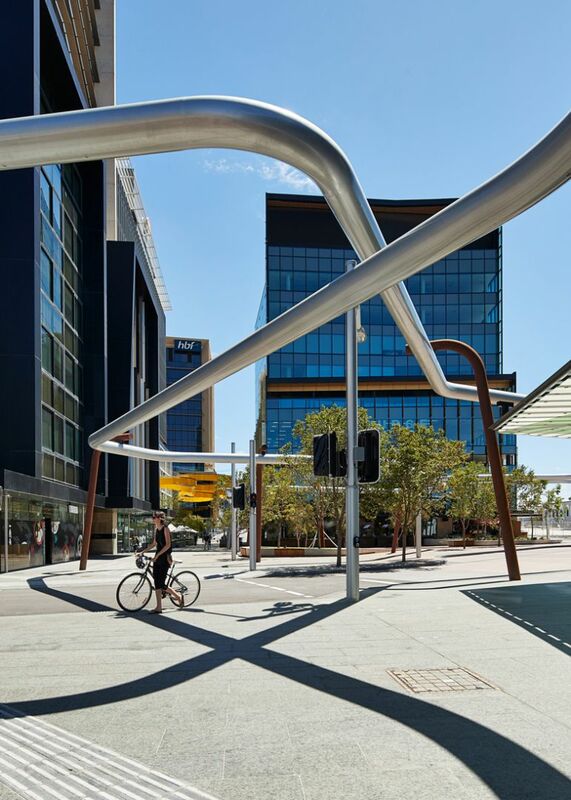 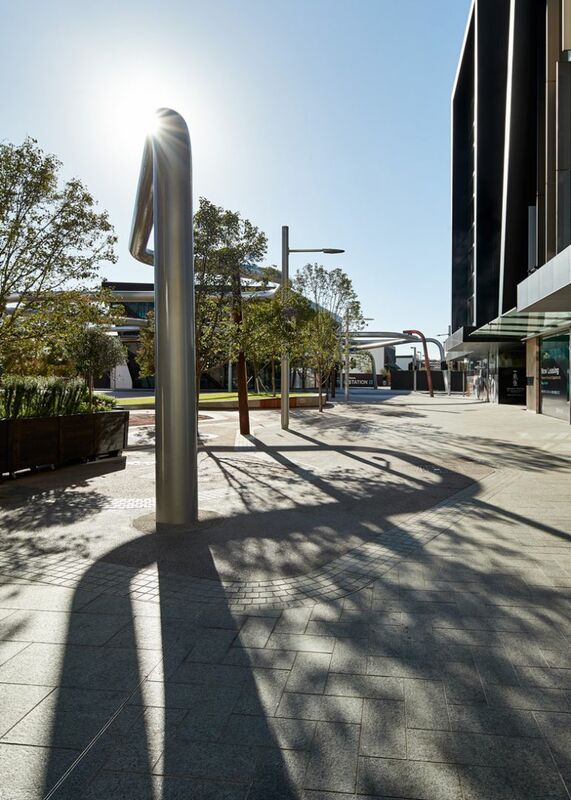 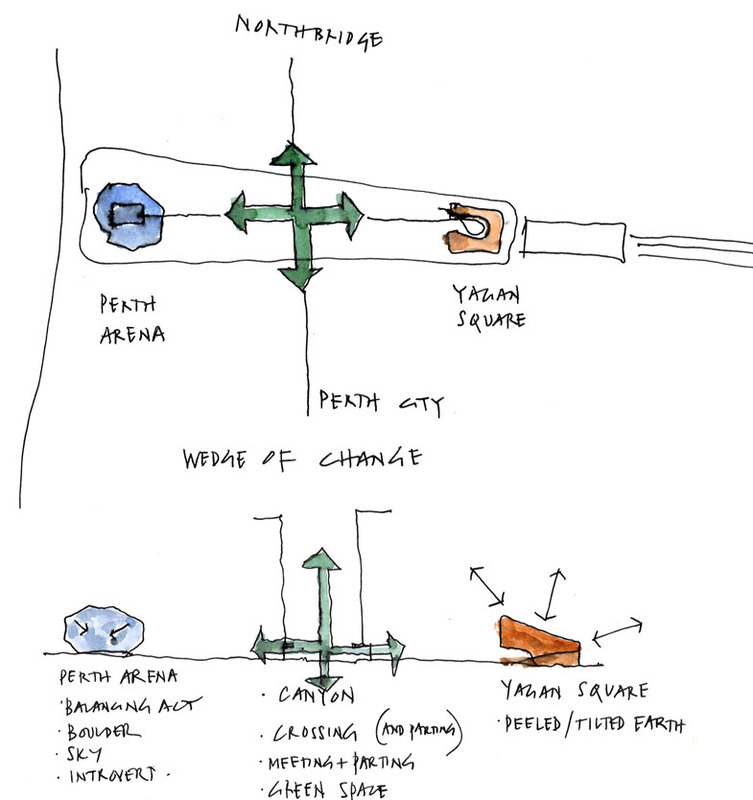 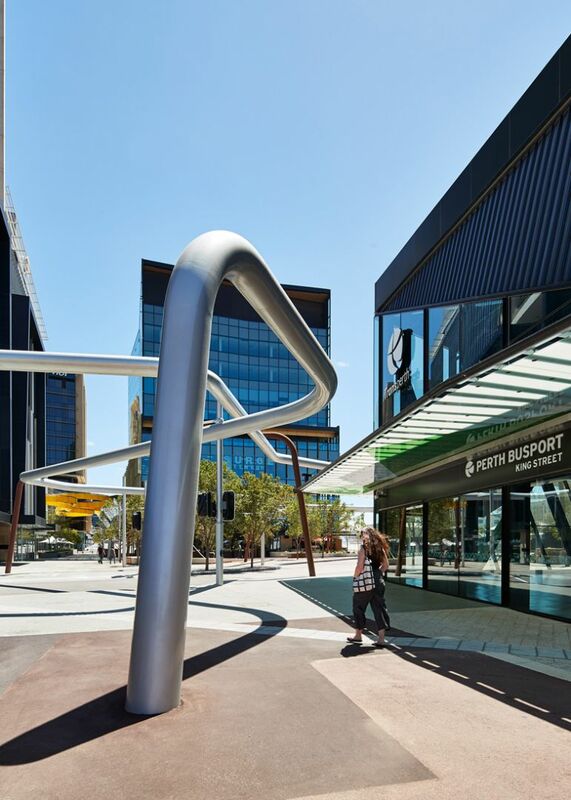 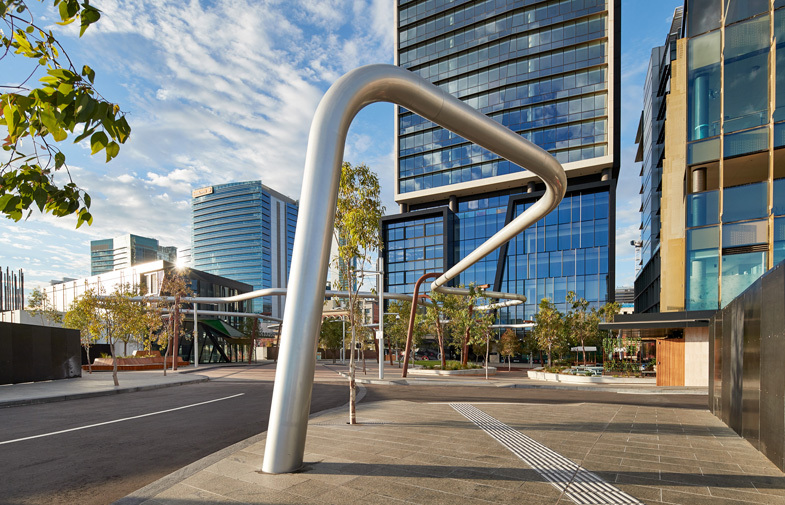 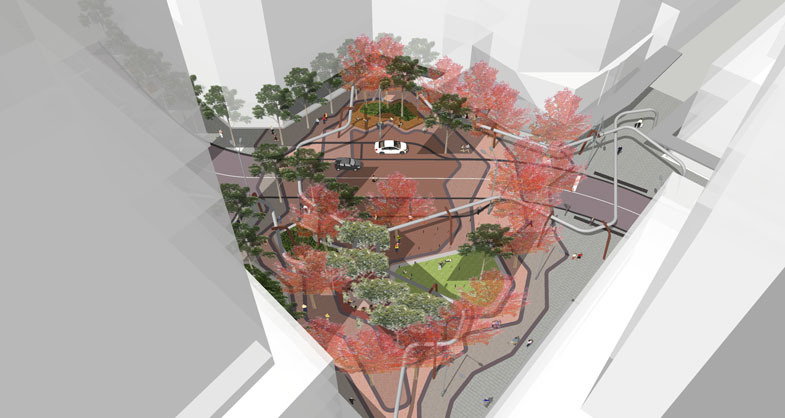 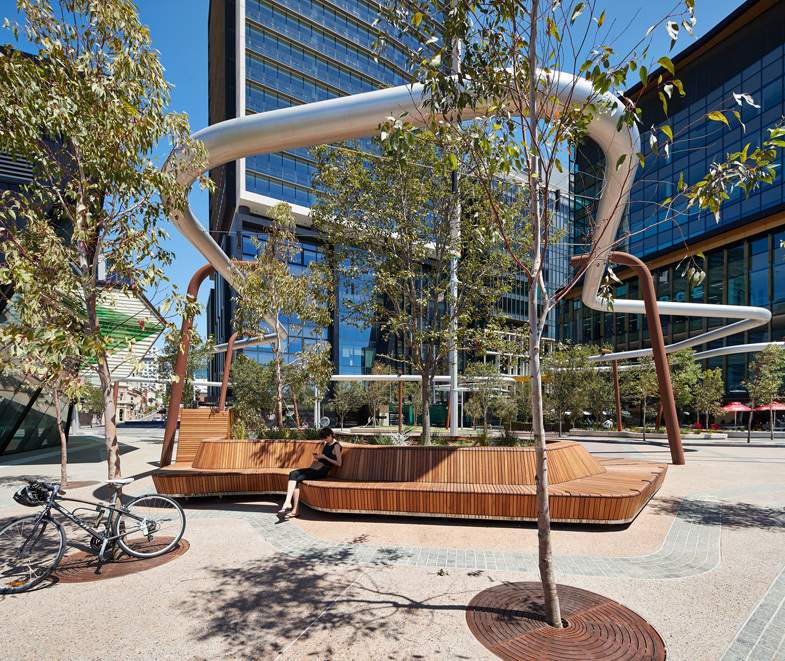 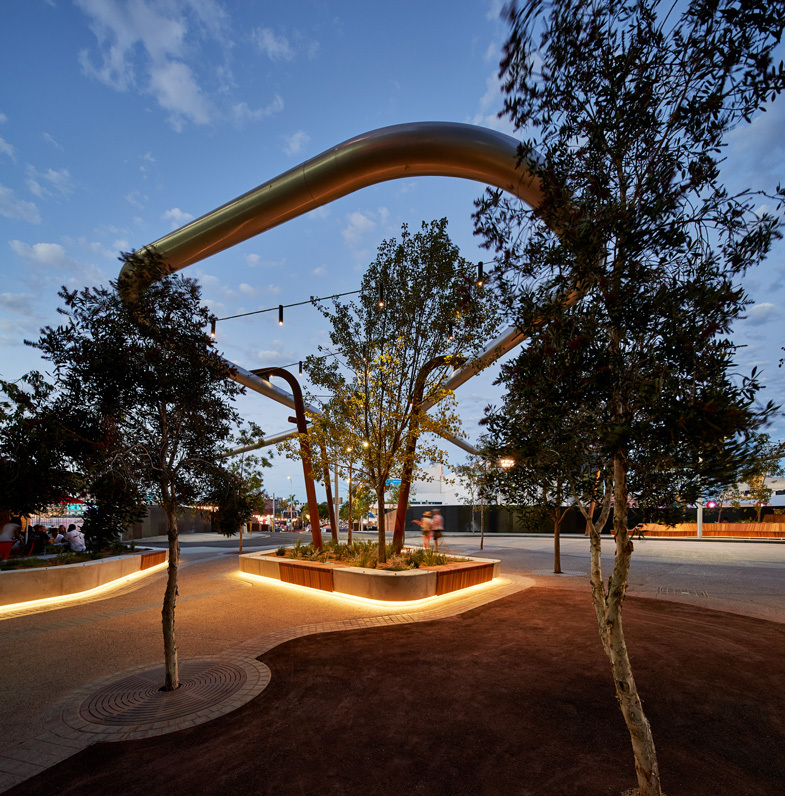 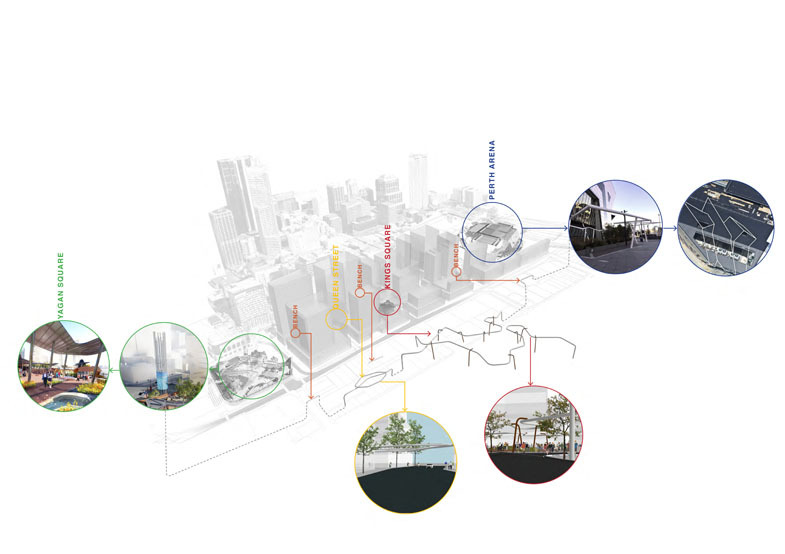 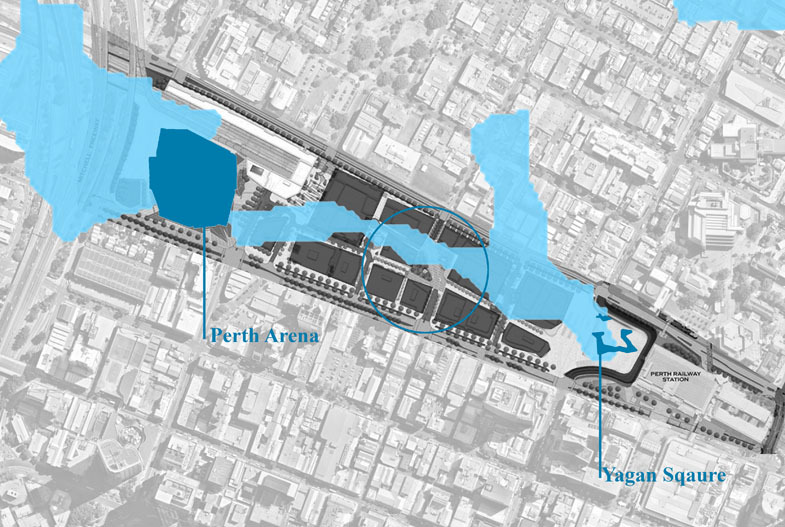 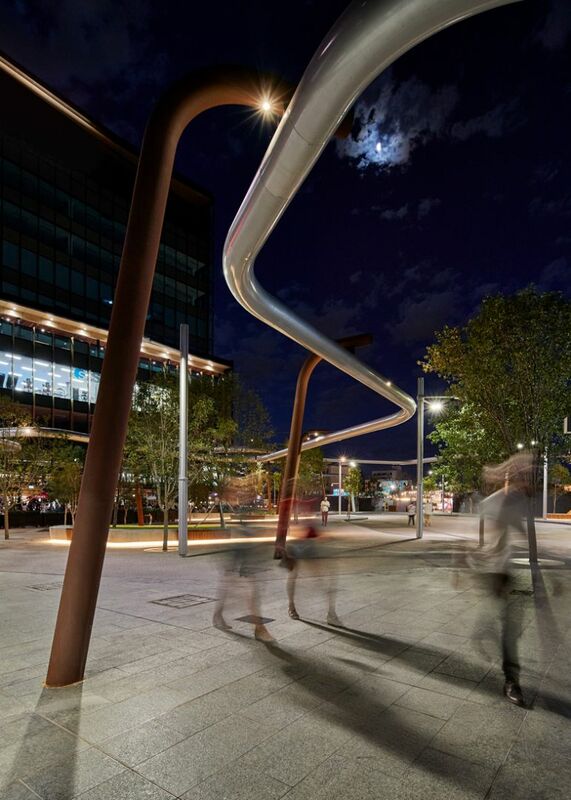 An elevated tube reappears from Yagan Square, emerging out of the ground, in dialogue with the ground formations, holding spaces together without touching, a conversation without conversing…..
with Lyons Architects, PlanE , Arup and Paul Carter.